FOOTBALL: Manchester City manager Pep Guardiola has bemoaned his team's slow start after it was beaten by Monaco in the last 16 of the Champions League. The thrilling tie finished 3-1 on the night in the prinicpality and 6-6 on aggregate with City losing on the away goals rule following the 5-3 result in the first leg. Having won the competition twice in his time at Barcelona, this is the first time in Guardiola's career that he has gone out at this stage and he rued the sloppy first-half showing during which City did not register a shot. "We played exceptional second half but we forgot to do that in the first," he said. "We wanted to defend aggressively. We were better in the second but it wasn't enough. "Normally we play to a good level but here we didn't. We will learn. The team does not have a lot of experience." 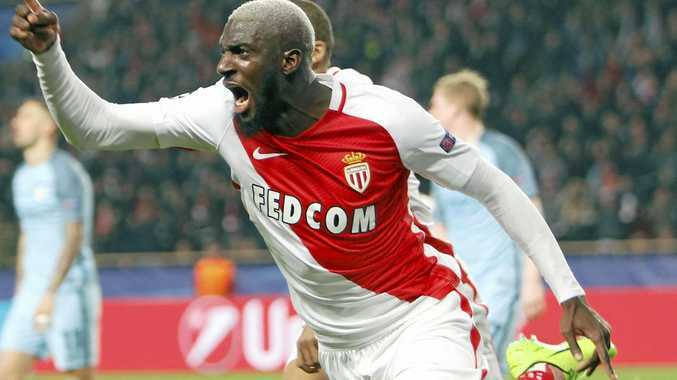 City was 13 minutes from progressing to the quarter-finals but some slack marking at a set-piece proved costly, allowing Tiemoue Bakayoko to head home the decisive goal. "The second half we had the chances and we didn't take them and that is why we are out," Guardiola added. "And set-pieces are so important at this level. Barcelona and Real Madrid scored from them last week. We were not there and we were not there in the first 45 minutes. "We will improve but this competition is so demanding. Sometimes we have to be special and be lucky. We were not." Monaco dominated the first half at the Stade Louis II and opened the scoring through the excellent Kylian Mbappe. The Ligue 1 side deservedly doubled its advantage on the night, punishing City's sluggish start through Fabinho's crisp strike. The visitors were given a lifeline through as Leroy Sane's goal but the defence could not hold on. English Premier League champions Leicester City is the only English team in the last eight. Monaco join the Foxes, holders Real Madrid, last year's runners-up Atletico Madrid, Barcelona, Bayern Munich, Borussia Dortmund and Juventus in Friday's draw.